1. You need to be signed in as your Facebook Page first. To do that, go to your Facebook Page which can be either via Account - Use Facebook as Page - and clicking "Switch" beside whichever FB Page you want to use, OR via Home - click on "Ads and Pages" on the left sidebar - choose whichever Page you want to see - Click "Use Facebook as [Page Name]" on the right side bar. 2. 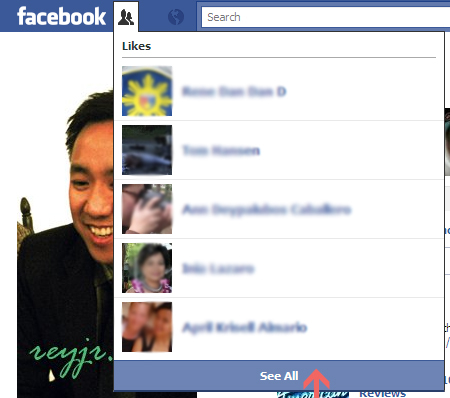 Click on the "Likes" button at the upper left corner of the Facebook Page. 3. 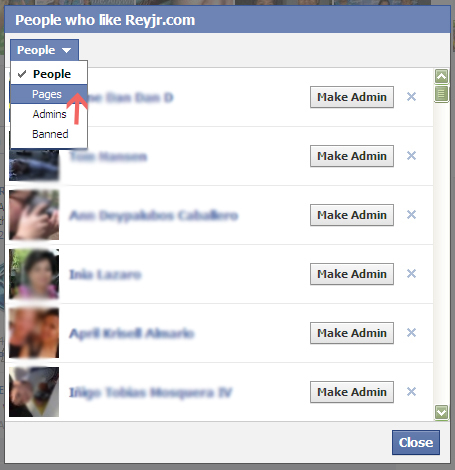 Click on the Like button above will show a dropdown list of the People who most recently Liked your Page. Go to the bottom of that list and click "See All". This will open a window that lists All People that have Liked your Page. 4. At the upper left corner of that window, click on the button that says "People". It is also a dropdown list that contains "Pages", "Admins" and "Banned". 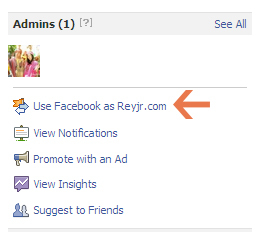 Click "Pages" to see which Facebook Pages have "Liked" your Facebook Page as well. There you go, 4 easy steps to see which Facebook Pages Liked your Page. You can comment on this post using Facebook! Thank you! I've been trying to figure this out forever.